The U.S. Circuit Court of Appeals in New York today ruled that Michael Bromwich, the lawyer assigned to monitor Apple's antitrust compliance policies, may continue with his duties while Apple continues to pursue another appeal to remove its monitorship all together. Back in early January, Apple requested that U.S. District Judge Denise Cote disqualify Bromwich from his monitorship because he had demonstrated personal bias against the company. Apple asked for both a stay on the original order requiring an external monitor and the removal of Bromwich, both requests that Cote denied. Apple did manage to win a brief emergency stay as the Appeals court examined its request for a longer stay, but with today's decision, Bromwich will be able to continue on as monitor. The ruling did, however, limit some of Bromwich's power, suggesting that he is not able to demand access to any document or interview Apple executives with respect to any subject. Thus, according to appellees, the monitor was empowered to demand only documents relevant to his authorized responsibility as so defined, and to interview Apple directors, officers, and employees only on subjects relevant to that responsibility. 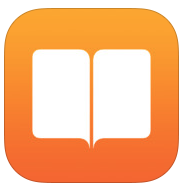 Apple's antitrust monitor was originally put in place after the company was found guilty in July 2013 of conspiring with five publishers to raise the prices of e-books. Since then, Apple and Bromwich have engaged in several back and forth disputes stemming from Bromwich's fees and his insistence on interviewing key Apple executives. Bromwich, for his part, has said he has seen a "surprising and disappointing lack of cooperation from Apple and its executives." Apple's second appeal, which requests the removal of Bromwich entirely and questions Cote's decision to appoint a monitor, is ongoing. Exactly. Neither of them had anything to do with this- going after them was nothing more than a power trip. The winner is this idiot Bromwich, he's charging Apple $900/hr. to fight Apple. Damn, for that kind of money, I'll fight day & night too.